1 and 2 button 4000 series colour video kits. The flexible design allows for the addition of up to a..
1 and 2 button 4000 series colour video kits with codelock. 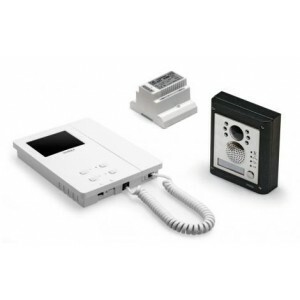 The flexible design allows for the addit..
1 and 2 button 4000 series colour video kits with 100 user proximity facility. The flexible design a..
CVR4KV - Non-coax, 4000 series, flush-mount colour vandal resistant video kit features:- Vandal ..
CVR4KV-S - Non-coax, 4000 series, surface-mount colour vandal resistant video kit features:- Van..
CVR4KV-S/CL - Non-coax, 4000 series, surface-mount colour vandal resistant video kit with codelock f..
CVR4KV/CL - Non-coax, 4000 series, flush-mount colour vandal resistant video kit with codelock featu..